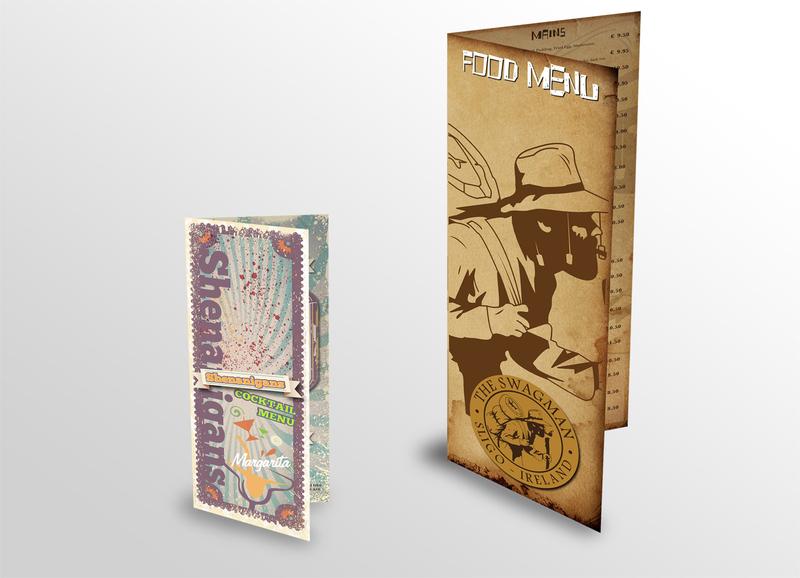 Your menu should complement your brand's overall look and feel, not only are menus an essential tool, but they also enhance your identity and give your diners something to talk about and remember. 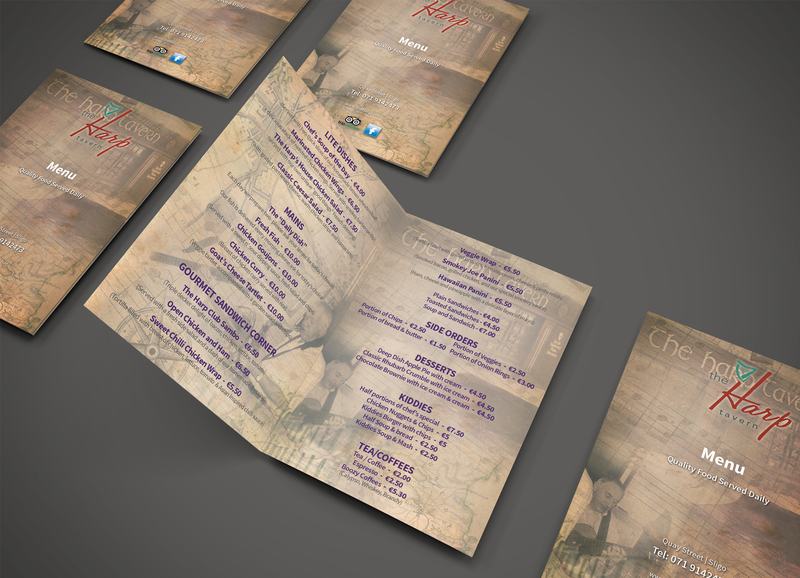 Our skilled design team ensures impressive and highly functional menu design, finished off with high quality printing. 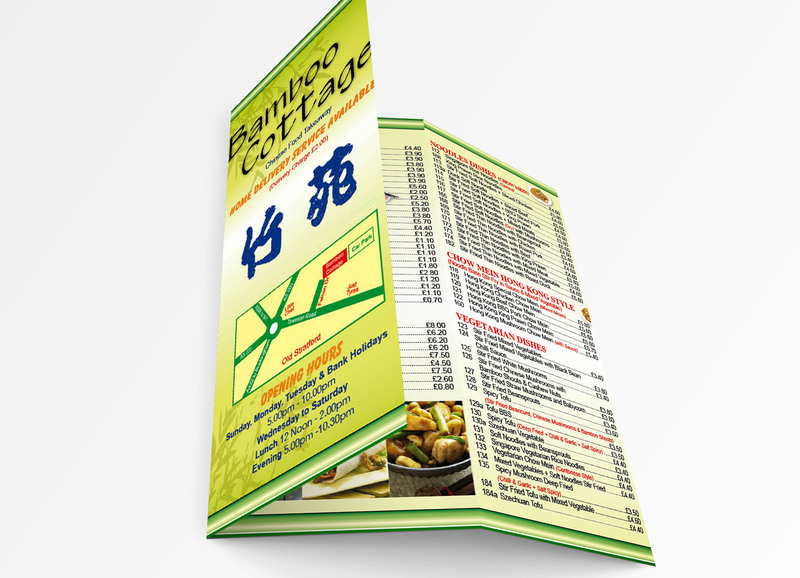 Standard menus printed on heavy 350gsm bond, gloss or matt laminated for durability. 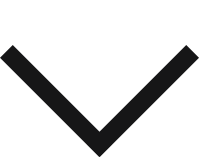 Available in a wide range of standard and bespoke sizes in a flat or folded format. 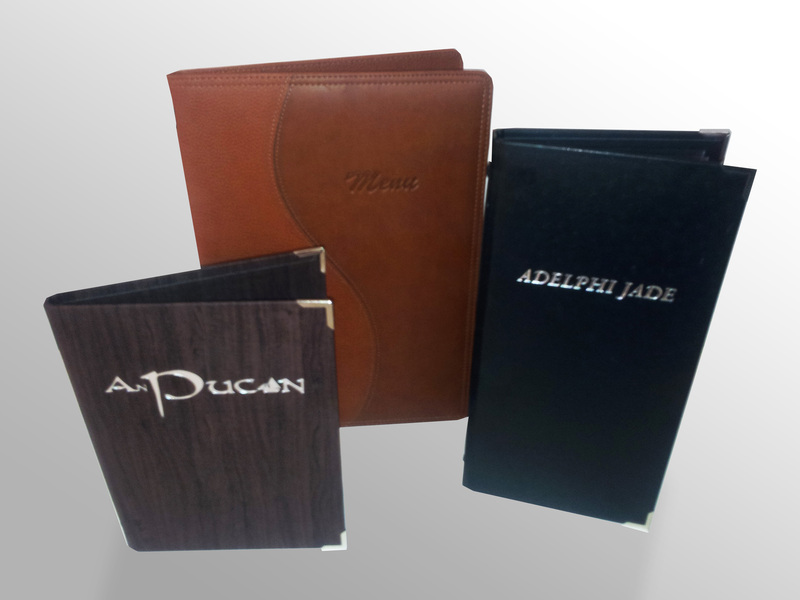 Premium menu covers are an ideal choice for restaurants looking to promote a high quality, durable menu with gold or silver corners and text. The insert allows you to change your dishes as required.